We know that universalism is a theological option in our world. This teaches that ultimately all persons will be saved by God and will be with Him eternally. Known historically as apokatastasis, the belief that all persons will be saved. Hence universalism involves the affirmation of universal salvation and the denial of eternal punishment. Universalists believe that ultimately all humans are somehow in union with Christ and that in the fullness of time they will gain release from the penalty of sin and be restored to God. Twentieth-century universalism often rejects the deity of Jesus and explores the “universal” bases of all religions. (Stanley J. Grenz, et. al, Pocket Dictionary of Theological Terms). Although a lengthy treatment of this important theological system and belief would be helpful, the only point that we wish to explore here is whether God and Christ taught that everyone will be saved and none will be lost. This limits our concern here and we’ll only plan to briefly examine a few clear and pertinent passages. This is a subject of grave importance to not only our belief but also our view of others—including our friends, family, fellow workers, and everyone else. It may be that one or more of these loved ones might expect to be right with God (providing they believe in God), even though they believe in a New Age “god,” or believe in Allah, or believe in millions of “gods” in Hinduism, or are devoted to a “God” (or “god”) in Judaism. Can this possibly be true? How correct do we need to be in believing in the God of Scripture and the Christ Jesus of the Bible? With this in mind, consider these inspired words of the Lord, found on the pages of His written Word. The words of Jesus, the Son of God, here show that “no one” (whether that be a Buddhist, a Hindu, a Muslim, a Jew, or anyone else), absolutely no one can go to God in heaven apart from Jesus—the way, the truth, and the life. This is so clear that it would take professional help to misunderstand it! Jesus here says that one must “know” or have a deep personal relationship with Him and with God, His Father, in order to have eternal life. In other words, no one in Confucianism, Taoism, Shintoism, Zoroastrianism, Sikhism, or any other religion can experience eternal life now or in the hereafter apart from this saving knowledge of Christ and God. From these clear words of our Lord Jesus, we see that eternal life comes only to those who believe in Christ. Further, all people will perish (in hell) except those who believe in Jesus the Son of God. Those who believe in Him will experience eternal life. This is another plain passage that cannot be misunderstood. In order to have eternal life, one must believe in Jesus, the Son of God. If we do not obey the Son of God, we cannot “see” eternal life. Further, the one who refuses to believe and obey Jesus the Son, will continue to abide under God’s righteous wrath (His anger that is over all who remain in sin and refuse to repent). John plainly says that it is only through believing that Jesus is the Christ (the Messiah, the Anointed One), the Son of God, that one can have eternal life through Christ (through His name). There is no other way. In this series of verses, God tells us that we must confess Jesus as the Son of God, that we must believe that Jesus is the Christ, and that we must believe that Jesus is the Son of God. This is the only way to receive God’s abiding presence, be born of God and overcome the world. The only way to have eternal life is to have the Son of God. If we do have the Son, we have eternal life. If we do not have Jesus as the Son of God, we do not have eternal life. We have confined our examination to the writings of John, whether the Gospel of John or the First letter of John. But in the few verses we have looked out, the truth is plain. Eternal life comes only through Jesus Christ, the Son of God, the Christ (the Anointed of God). There is no other way. Otherwise, one will perish, abide under God’s righteous wrath, and have spiritual death. Some people think that it is cruel to point these things out. They may say, “Are you saying that the Hindu cannot receive eternal life since they believe in millions of gods”? Or that a Muslim cannot have eternal life because they strongly deny that Jesus is the Son of God? Or that the Buddhist cannot receive eternal life since they don’t believe in a personal God, thus they cannot believe that Jesus is the Son of God? Or that a Jew cannot have eternal life because they strongly deny that Jesus is the Son of God, their Messiah? No, we are not saying this—by our own authority and by our own opinion. But our Lord Jesus Christ is saying this, thus we must repeat what He has already revealed. Some may say that Jesus was a great teacher or religious reformer. However, Jesus didn’t give that as an option. He declared that He is the Son of God, our Savior, the only way to escape hell and go to heaven. He is the One who has declared that He is the one and only way of salvation and eternal life. There is no other way! Some “post-moderns” may say that a Muslim and a Christian may both be saved, or that a Buddhist, Jew, and Hindu can all receive eternal life. However, this option hasn’t been given. The Law of Noncontradiction says that two opposing propositions cannot both be true in the same way. It is impossible for the Jew to say one thing and the Muslim to say another (contradictory) thing and both be correct. Either they both are wrong or one of them is wrong and the other is right. According to what we have seen from God’s own Words (through Christ and John), the Jew, the Muslim, the Hindu, and the Buddhist are all wrong. None of them is right. Therefore, all of them are separated from God, dwelling in spiritual death, and cannot inherit eternal life. We know that it is fashionable for people today to have the attitude that says, “Your religion is meaningful to you and it is to be respected. 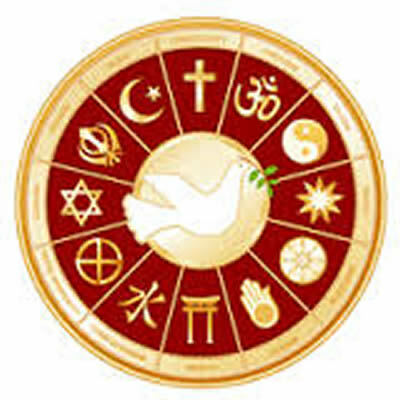 Your choice of a religion is fine for you while John, Bill, and Tom have different religions and those choices are fine for them.” We are told to practice tolerance—in this case, spiritual and religious tolerance. And not just tolerance but also acceptance. We are not to criticize or condemn individual choices of religion. Who is the liar but the one who denies that Jesus is the Christ? This is the antichrist, the one who denies the Father and the Son. Whoever denies the Son does not have the Father; the one who confesses the Son has the Father also. (1 John 2:22-23). The objective truth is that if we deny that Jesus is the Christ (the Anointed One), we are a liar (since we refuse to speak the truth). If we deny the Father and the Son of God, we are antichrist (against Jesus the Christ). If we deny Jesus as God’s Son, we cannot have God the Father. If we confess Jesus as the Son, we have God the Father also. This means that the Jew who denies that Jesus is the Messiah is a liar. The Muslim who denies Jesus as God’s Son cannot have God the Father. Anyone who rejects, disbelieves, denies Jesus as the Messiah, God’s Son, that one cannot have eternal life now and in the hereafter. He cannot be saved from death and receive forgiveness and an eternal relationship with God. Reader, could you be one of the hundreds of millions (even billions) of people who do not give God and Christ Jesus their due? Do you refuse to believe in Christ, confess Christ, and be baptized into Christ? Now is the time to make a decision about the identity and saving work of Christ, as the crucified and risen Son of God. See also: Is Jesus the Only Way? See also various articles in the General Topics section.